For nearly 60 years, Brazil-based asphalt plant and equipment manufacturer Ciber Equipamentos Rodoviários (Ciber) has built a reputation as a strong, reliable, go-to solutions provider in asphalt production. The company has delivered more than 1800 plants in four continents and operates in all Latin American countries, Africa, Southeast Asia, and has a strong presence in Oceania, including Australia. Ciber asphalt plants were first introduced to the Australian market in 2010. As a member company of the Wirtgen Group, Ciber’s products have comprehensive support across a range of equipment brands and have found solid grounding in Australia’s asphalt production sector. At the 2015 M&T Expo – the largest trade fair in Latin America for construction and mining equipment – Ciber pre-launched its latest technological innovation to the market – the Ciber iNOVA 2000 mobile asphalt plant. The company is now launching its unique plant to its established global markets, including Australia and New Zealand. Ciber Head of Marketing Jandrei Goldschmidt says that even during the design of the iNOVA 2000, Ciber wanted to produce an extremely versatile mobile plant with a high production capability. “The development of the iNOVA 2000 started with a complete research project over different markets. The engineering department listened to the customers, technicians and machine operators and took their technological recommendations into consideration. It went through exhaustive testing, with great results,” he says. The final product is a unique mobile asphalt plant that combines the concept of an “ultra” mobile plant with high production capacity, as Mr. Goldschmidt puts it. “The Ciber iNOVA 2000 introduces five major highlights that, acting separately or together, innovate and break some of the paradigms of mobile asphalt plants in continuous production flow,” he says. These include a large production capacity in two mobilities, efficiency in fuel consumption, high performance in special mixes, ease of operation and optimised maintenance. The first major aspect, he explains, is high production capability in just two mobile units. “The plant is transported and installed in two chassis and has output range of between 100 and 200 tonnes per hour,” says Mr. Goldschmidt. With fewer mobile units, the transportation and installation costs of the iNOVA 2000 are significantly lower compared to plants of the same production size, explains Mr. Goldschmidt. “The plant also adapts to most construction sites and has fewer complex installation procedures,” he adds. Unique technologies for the purpose of minimising the energy consumption required for drying aggregates have been developed on the iNOVA 2000. The plant employs aggregated drying control time through variations in the dryer drum rotating speed. “This technology provides the exact drying time required for each type of aggregate, which always results in lower fuel consumption,” explains Mr. Goldschmidt. “The second difference is the automatic control technology for gas flow required for combustion from a closed-loop system,” he adds. The exhaust will only provide the necessary air for burning, reducing energy consumption, fuel consumption and ensuring ideal combustion as a result. The plant’s Total Air burner ensures that only the air required for the combustion is heated in the drum, also resulting in lower fuel consumption. Like the iNOVA 2000’s energy efficiency, its high-end mix capabilities make it a strong market leader, compared to other plants. “One of the major challenges faced in the equipment design was to create a plant capable of maximum heat exchange between the burner and the aggregate regardless of the type of aggregate and asphalt mix produced,” says Mr. Goldschmidt. The engagement between the drying time required on a size curve of the aggregates, and drying time in the plant, constantly provide the maximum thermal efficiency. The plant also gives operators the ability to vary aggregate mixing time according to aggregate and asphalt mix requirements. Mr. Goldschmidt says that ease of operation was another technological aspect of asphalt plant production that the company wanted to highlight. “Ciber plants have always been at the forefront of automation systems, featuring industrial computers with a touchscreen interface and digital data transmission systems,” he says. In addition to those features already established, Ciber introduced its EasyControl system to the new iNOVA 2000 design. “EasyControl makes plant operation more intuitive,” he says. The iNOVA 2000 achieves auto production and total management of production activities through the plant’s computer. This includes the automation of flame intensity variation according to aggregate heating. Ciber’s established EasySpin tool also allows for the quick exchange of the sleeves, and reduces maintenance time on the plant. The innovative fault diagnosis systems helps detect potential failures accurately and increase the response time for any unplanned maintenance. Mr. Goldschmidt asserts that the unique capabilities of the iNOVA 2000 plant make it a versatile and efficient unit on site. “Ciber, supported by its experience and after intensive research on components and requirements of different asphalt mixes, has developed a revolutionary plant that adapts completely to the inputs and outputs. 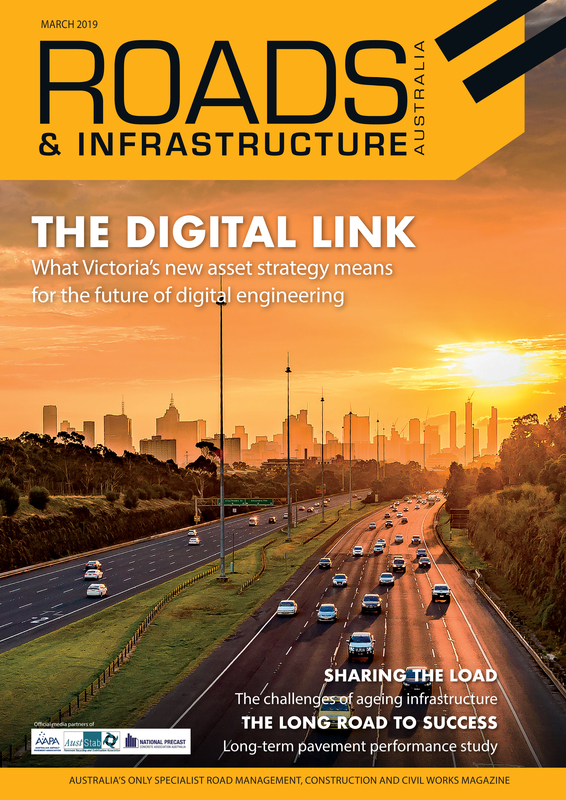 All Ciber plants are sold and locally supported with highly qualified technicians, operator training and availability of parts by Wirtgen Australia subsidaries in WA, NSW, QLD and VIC.